Lost and spiritually wayward people are busy identifying “who they are” by choosing to align with certain political and social movements made both palatable and popular in this world. These varied associations exist in alignment with the natural law of man and stand in direct opposition to the supernatural goodness and grace of God. A soul spiritually involved with the indwelling presence of God always desires to mirror the eternal character and fruitful harvest of God. A changed heart spiritually softened by things of God agrees with the character of God. It occupies the heart and soul and outwardly glows in his or her life pointing to the existence of the supernatural presence and power of God. 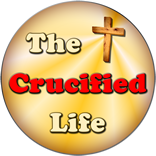 It is being crucified with God and living for Him rather than oneself. Choosing to distinguish oneself with gender confusion, for example, rather than aligned with things of God is a spiritual calamity, not a physical crisis. A gender confused movement attempts to manipulate and twist the foundation God set in place. 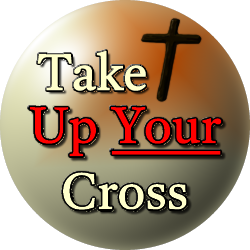 It is nothing more than an attempt to transform biblical based identity into an ungodly altered position by not choosing to specify a person as being a male or female. This practice allows a lost person to try to explain themselves by using modern approach for identifying oneself rather than sticking with God’s established identity. God’s divine creation process has an unambiguously marked a difference both in a saved and a lost person and in distinguishing identity since the beginning of time (Genesis 1:27). The real identity crisis for every man begins with his heart condition and ends when he chooses to identify with the holy and righteous character of God, this includes an agreement with God’s divinely given gender distinction.